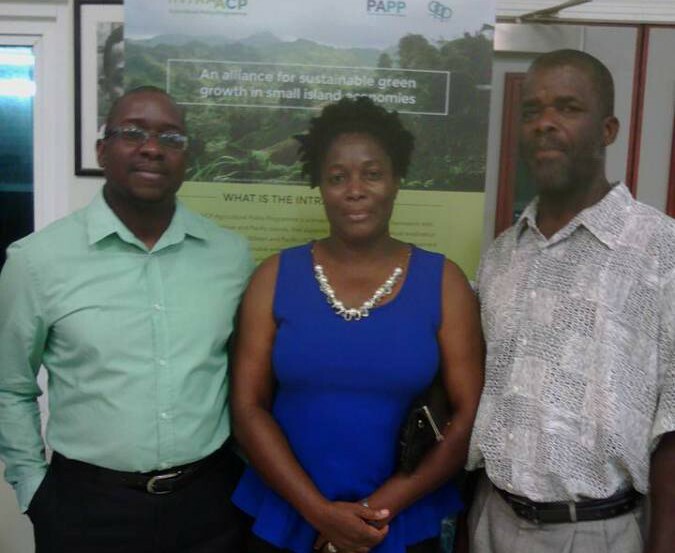 Chief Executive Officer of the Grenada Marketing and National Importing Board, Ruel Edwards, is among more than 200 delegates who have gathered in Barbados for the Caribbean–Pacific Agri-Food Forum, where they will discuss topics ranging from value chain development to ICT for fisheries. Bringing together diverse actors from the agri-food system to engage in collective actions that can contribute to the transformative efforts of agriculture and the rural milieu, the forum is organised by the Technical Centre for Agricultural and Rural Cooperation (CTA), The Intra-ACP Agricultural Policy Programme (APP), Barbados Agricultural Society, and Inter-American Institute for Cooperation on Agriculture (IICA). Ena Harvey, who heads the Barbados Office of the IICA, told participants during the welcome on Sunday night that the Forum will highlight the challenges as well as the many activities and new innovations within the agriculture business sector, which are making a positive difference for the economic development of the region. IICA provides technical cooperation, innovation and specialized knowledge to contribute to the competitive and sustainable development of agriculture in the 34 member states of the Caribbean and Latin America. The Institute’s four Flagship Projects focus on Competitiveness and sustainability of agri-business chains, Rural inclusion, Family agriculture, and Resilience and management of risk. 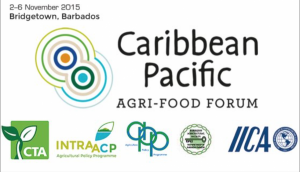 In the absence of the Caribbean Week of Agriculture, the Forum, according to the organisers is providing an opportunity for participants to discuss current and future challenges in agriculture, and its impact on small island developing states. The organisers say that as part of the international community and as mandated by the Africa, Caribbean and Pacific (ACP) Group of States and European Union (EU) states, within the framework of the Cotonou Agreement, the Technical Centre for Agricultural and Rural Cooperation (CTA) is set to contribute to the agenda through targeted interventions in the areas of its comparative advantage, and where the best opportunities to work collaboratively with other like-minded agencies and partners lie. The outcomes of this agenda setting will be clearly reflected in its new Strategic Plan for 2016–2020. CTA has initiated the implementation of regional strategic and operational plans built around key priority intervention areas. This is based on a common understanding of the key challenges and opportunities related to agriculture and rural development in ACP regions and territories, and the areas where CTA, together with its partners, is committed to making a difference. Composed of many small island developing states (SIDS), both regions share common characteristics in their productive and trading systems, priority value chains, services sectors, food security and nutrition status, vulnerability to natural disasters and climate change, as well as in institutional arrangements.